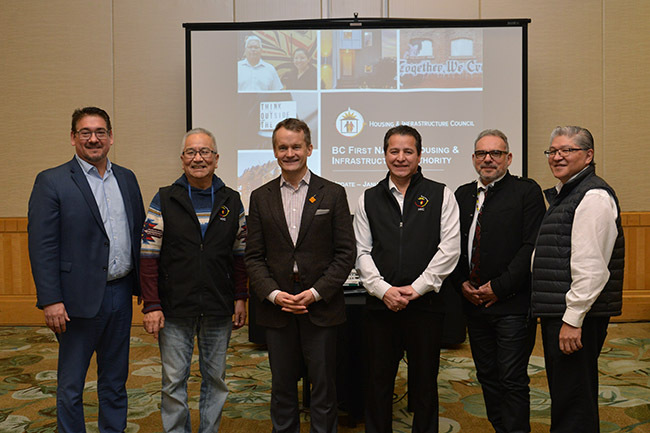 January 25, 2019/Vancouver, BC: First Nations Housing & Infrastructure Council of British Columbia (HIC) and Indigenous Services Canada (ISC) have signed a co-developed Memorandum of Understanding (MOU) that commits the parties to collaborative development of a housing and infrastructure authority for First Nations in BC. The MOU was signed by Deputy Minister of Indigenous Services Canada Jean-François Tremblay on January 22, 2019 and by Chief Dan George, Chair of HIC on January 24, 2019 in Vancouver at ISC’s Joint Gathering in the presence of ISC representatives, Lynda Clairmont, Senior Assistant Deputy Minister and Catherine Lappe, BC Regional Director General. Representatives of the member organizations of BC First Nations Leadership Council also signed the MOU as witnesses. The MOU formalizes the federal mandate and outlines the framework as to how the two parties will work together to ensure collaboration and cooperation in delivering on HIC’s mandate. To establish a collaborative relationship between the Parties that will lead to the development of a First Nation Institution that will be responsible for delivering Housing & Infrastructure Services for First Nations in British Columbia. To gain agreement-in-principle on the essential terms that will allow the Parties to seek respective mandates to negotiate a future Transfer Agreement for the transfer of authorities to the new First Nation Institution. HIC is working to create a First Nations-controlled Housing & Infrastructure Authority (Authority) in British Columbia. Once established, the Authority will assume responsibility for First Nations housing and infrastructure services and associated programs in BC. Creation of an Authority is a step towards Indigenous self-government and the goals of First Nations and federal governments for housing transformation supported by the co-development of a 10-year First Nations housing strategy. It contributes toward the Government of Canada’s directive to transfer its delivery of Indigenous services to Indigenous control. It also reinforces the Indigenous view that housing decisions should be in the hands of Indigenous people. Deliver associated housing and infrastructure services. The Council was formally established in the fall of 2017 in response to a formal mandate from each of the members of the BC First Nations Leadership Council (BC Assembly of First Nations, First Nations Summit and Union of BC Indian Chiefs) to transform housing and infrastructure service delivery in BC by developing a First Nation Institution that will be responsible for infrastructure and housing services. This project was initiated by First Nations and is being led by HIC. Indigenous Services Canada is leading from the Government of Canada. Designing a community-based housing and infrastructure model that meets the needs of First Nations is fundamental to HIC’s work. 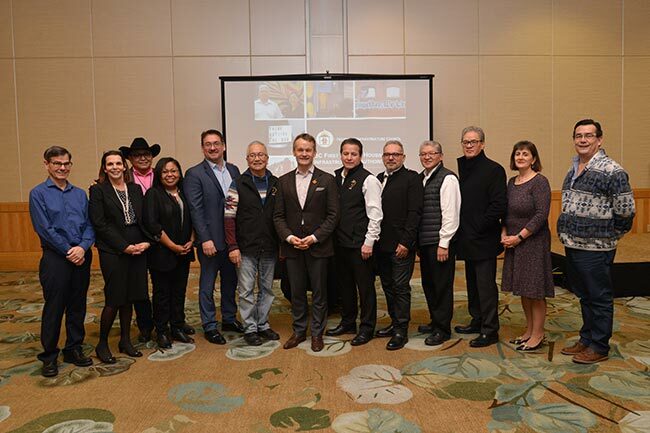 Extensive engagement, consultation and collaboration with the BC First Nations housing and infrastructure community and leadership is essential to achieving success. HIC is engaging First Nations, government, associations, agencies, organizations, urban Indigenous and other related service providers plus any others who can contribute towards its mandate. In the first phase of engagement, HIC held outreach sessions with the BC housing community, meetings with housing service providers, urban housing groups, education facilities and financial institutions, and a workshop with highly-experienced housing and infrastructure professionals to develop three housing and infrastructure delivery design concepts. In the second phase of engagement, HIC will be taking delivery model examples back to First Nations in BC and various groups to further refine HIC’s ideas, the delivery model and associated transfer agreement.